Home » What Does It Take To Retire Comfortably? What Does It Take To Retire Comfortably? An easy and carefree life during retirement is something everyone wishes and hopes to achieve after years of working hard. We all have different standards of what “comfort” means – for some, it might involve luxuries like new cars, and for others, it’s all about being able to travel and see more of the world. But before you drift off into a daydream of palm trees and fresh coconut drinks, what does it really take to retire comfortably? 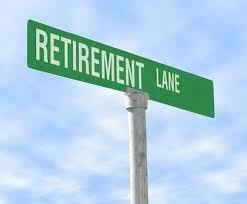 This pertains to the actual amount of money you will need post-retirement. How much do you need to save before you can live freely? Every person has a different number. And depending on that number, you can either resign early or extend your career a few more years. Keep in mind that retirement can be very expensive and experts estimate that 70 percent of pre-retirement salaries only provide the minimum amount to maintain living standards once the paychecks stop coming in every month. Saving just isn’t enough in today’s challenging economy where job opportunities can be scarce and the cost of living rises unabated. You have to save as early as you can so that it compounds into a large sum when retirement time comes. Start small and increase gradually every month to avoid impacting your present lifestyle. Saving later in life will make things much harder than learning how to control your finances when you first start your career. A funeral plan prepares you and your loved ones from the inevitability of passing, and it can also help you avoid the rising cost of a funeral. It makes organization of funeral arrangements cost-efficient, reducing the financial burdens your loved ones inherit. Funeral plans give you a sense of security and allow you to enjoy your retirement life. Plus, it takes the pressure off your loved ones. No one wants to make important decisions while grieving. If your employers provide an option to contribute to a 401(k) plan or any other retirement savings plan, make sure to grab the opportunity and contribute the maximum allowed amount. Having a 401(k) plan offers the many benefits of reduced taxes and conveniently automated deductions every month. Over time, the power of compounding and tax deductibles creates a larger pool of savings you can invest. A portion of your savings should be allocated to an investment portfolio that takes on medium to high risk. Financial assets like tech stocks, options, commodities, and currencies can present high risks, but can also return high rewards if planned and prepared for thoroughly. Inexperienced investors are advised to get professional help from a financial planner or investment strategist.